The next GRC Bulletin will be published in the next few days. 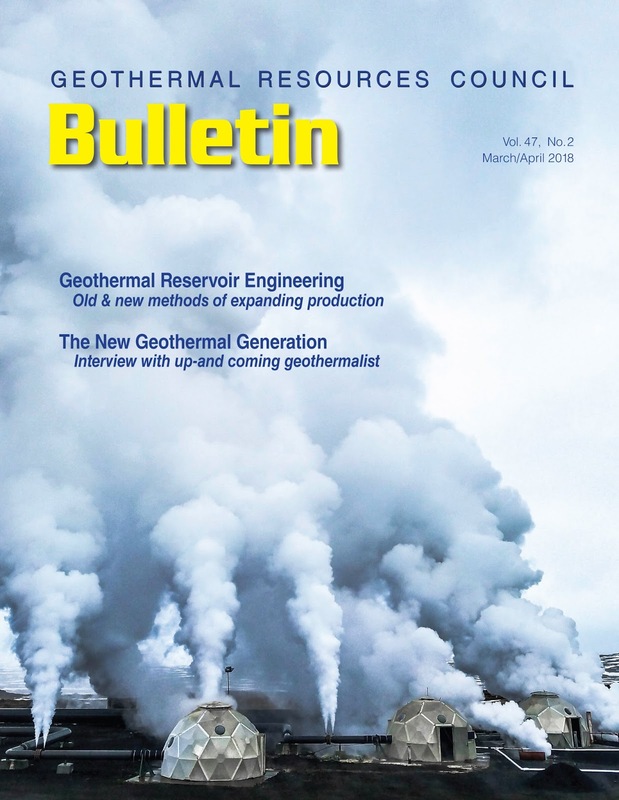 Produced by the Geothermal Resources Council since 1972, the Bulletin is the voice of the global geothermal energy community. Inside Geothermal: 12 pages of geothermal energy news from around the world. Temperature Recovery after Long-term Injection: Case History from Soda Lake, Nevada, by James Lovekin, et al. 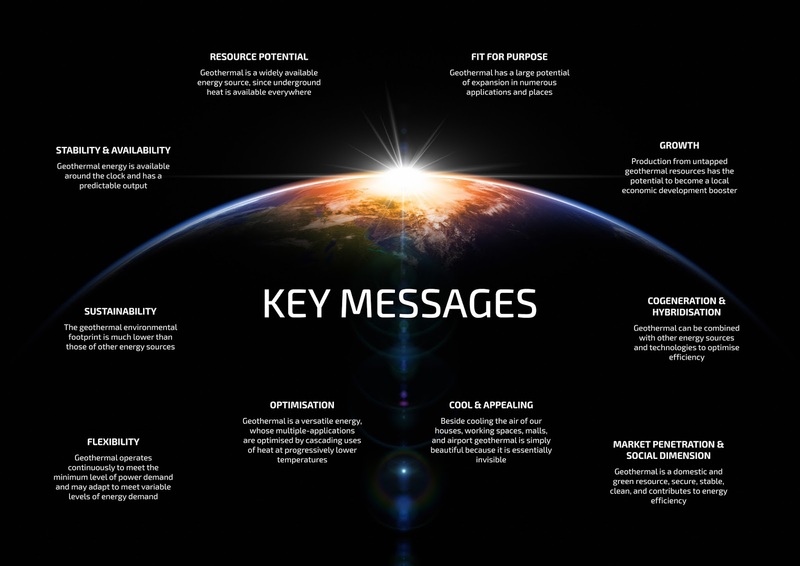 Corporate Focus - GeothermEx and Cyrq Energy. Geothermal History in the Making - a hot, dry rock geothermal energy program in 1977. 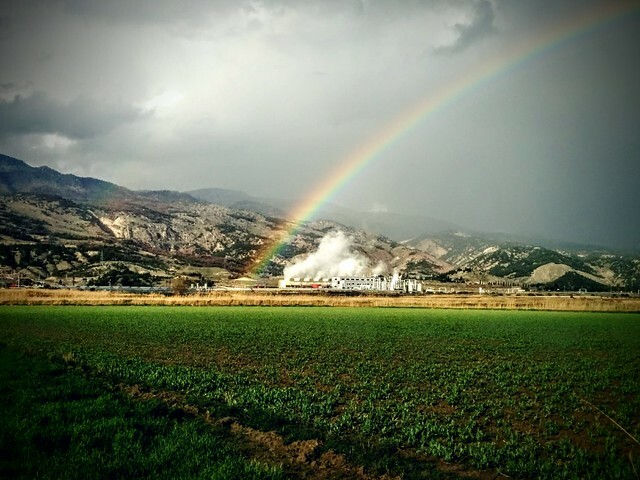 Adventures Within the Geothermal Community - A Q&A with Cary Lindsey. Italy: Heat from Chiusdino Geothermal Power Plant Helps Grow "Superfood"
In Chiusdino, Italy, Enel Green Power is collaborating in tests to cultivate the algae spirulina in geothermal environments: a key step to creating the “superfood” that could even be used by future astronauts. Launched last year, the project involved the construction of the world’s first greenhouse for the cultivation of spirulina heated by the earth, with smart and sustainable reuse of the C02 waste produced by geothermal plants. At the 125-mq plant, spirulina is grown in open tanks and photobioreactors at a rate of 60 grams a day. Heat for the greenhouse is provided by our Chiusdino geothermal power plant. The plant, in operation since 2011 with an installed capacity of 20 MW, produces about 150 million kWh a year, avoiding the emission of 100,000 tonnes of CO2 into the atmosphere, and saving fossil fuels equal to 32,000 TOE (tonne of oil equivalent) annually. State-owned electricity firm PT Perusahaan Listrik Negara (PLN) seeks to boost its geothermal power business through the establishment of a new subsidiary, PLN GG, to handle its geothermal projects. As its first task, the entity will develop eight geothermal working areas assigned previously by the government. They are estimated to generate 300 MW of electricity. The government is reviewing PLN’s proposal to develop another three geothermal working areas. In its electricity procurement business plan (RUPTL) for the 2018-2027 period, PLN envisions the development of renewable power plants with a total capacity of 14,911 MW within the next decade. Of the figure, 4,583 MW will come from geothermal power facilities. Chen Hua, Chairman of the Board of China Nuclear Power Company, CNNC (Tibet) Industrial Development Co., Ltd. signed an agreement with CNNC KunHua Energy Development Co., Ltd. on the development and operation of the clean energy projects in Tibet. This is a successful integration of CNNC’s resources in geothermal development, laying a solid foundation for CNNC Group’s expansion of Tibetan geothermal industry projects. According to the agreement, the Tibetan company was commissioned by CNNC KunHua to carry out the development of geothermal and other clean energy projects in Tibet. The Tibetan company will use its geographical advantages, actively coordinate the relevant local government departments responsible for the daily procedures required for the operation, project development and construction. CNNC KunHua Energy will be able to act as the geothermal specialized investment platforms to accelerate investment in geothermal projects in Tibet. Geothermal Event - Call for Abstracts - Deadline is Today! Geothermal Resources Council Annual Meeting will be held Oct. 14-17 in Reno, Nevada, USA. The deadline for abstract submission is today, March 30th, 2018. 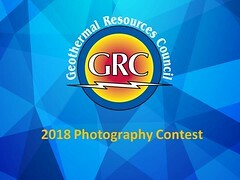 The Geothermal Resources Council (GRC) has issued a call for abstracts for the world’s biggest geothermal energy conference of the year taking place October 14-17, 2018, in Reno, Nevada, USA at the Peppermill Resort Spa Casino. The 42nd GRC Annual Meeting will showcase the world-wide availability of a clean, dependable renewable energy that is available 24 hours a day, 365 days a year, providing both flexible and baseload power production. Our guest today on LIFE Edge is Dr. Marit Brommer, the Executive Director of the International Geothermal Association. In the birthplace of geothermal energy (Pisa, Italy), the European Technology & Innovation Platform on Deep Geothermal (ETIP-DG) has presented its “Vision for Deep Geothermal”to look at future development of deep geothermal energy and highlight the great potential of untapped geothermal resources across Europe. Meeting this week in Tuscany, a region where geothermal already employs nearly 10,000 people and provides clean and reliable energy to thousands more, helping reduce dependency from fossil fuels imports, the ETIP-DG releases its Vision document and launches works on its Strategic Research Agenda. Washington's volcanoes could one day join solar and wind as producers of renewable energy. The state Department of Natural Resources (DNR) plans to tap into the idea this summer. The city of Aydin, located in the western part of Turkey, offers many opportunities to growers for greenhouse production. Greenhouse production has an important place in the incentive programs of the Ministry of Food, Agriculture and Livestock. Furthermore Aydin is located in a suitable region for exporting fruits and vegetables. There are also discussions at the ministry about making the use of geothermal energy resources obligatory in heating of the greenhouses. That would also benefit Aydin which has vast geothermal resources in its borders. The western wing of Mitsubishi Hitachi Power Systems (MHPS) has spun off a business line focused on digital power, energy storage and low-carbon power generation, the company announced Thursday morning. MHPS Americas’ new Power & Energy Solutions business wants to develop next generation technologies, both proprietary and in partnerships, utilizing artificial intelligence, energy efficiency, battery storage beyond lithium ion, geothermal renewable power, solid oxide fuel cells and upgrades for natural gas-fired power plants. The new firm is headquartered in Lake Mary, Florida and is launching having already made some solutions commercially available, according to the release. Mitsubishi Hitachi Power Systems, Ltd. (MHPS), a thermal power generation systems company jointly established by Mitsubishi Heavy Industries, Ltd. and Hitachi, Ltd., launched business operations effective February 1, 2014. Far North ratepayers will invest $5 million in an industrial park near Kaikohe in what is being described as a ''once in a lifetime opportunity'' to boost employment in the Mid North. Councillors voted unanimously yesterday to borrow $5m which council-owned company Far North Holdings (FNH) will use to buy a dairy farm at Ngawha and turn it into a ''market ready'' industrial park. 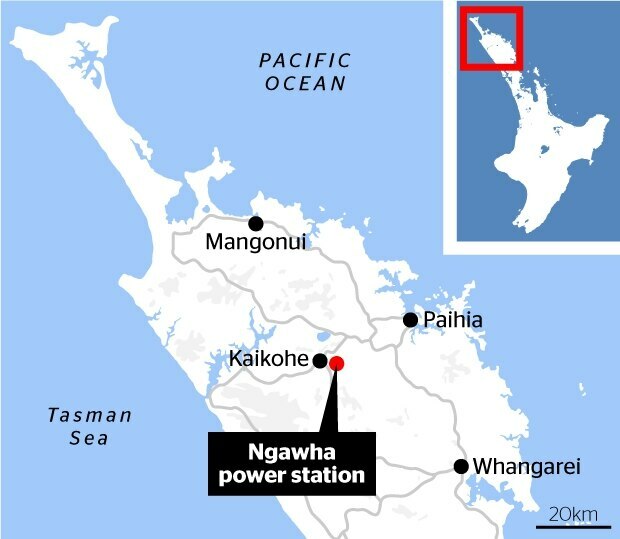 The idea is to lure industry with completed infrastructure and resource consents, but the real drawcard will be cheap power from the nearby Ngawha geothermal power station. FNH chief executive Andy Nock told councillors that Top Energy could supply power to the park, on a dairy farm on the northern side of State Highway 12, at a discount of 30-40 per cent and with no line charges. There was also potential to supply heat and CO2, for example for hydroponic horticulture. Latest video from the Hell's Kitchen Geothermal Power Project. Posted by Rod Colwell, Chief Executive Officer, Controlled Thermal Resources US Inc. Controlled Thermal Resources is in the advanced stages of commencing development of a new 280 MW + 20 MW bottoming cycle, geothermal power project within the Salton Sea area of California, home to the best geothermal resource in the United States. With an experienced development team, site control through secured land and mineral rights on a long-term basis, and a very positive preliminary resource assessment, CTR has successfully met critical early-development milestones. CTR plans to expand the development in 140 MW stages up to the total resource generation capacity of more than 1100 MW, the largest on the planet - enough to power around 1,000,000 homes and businesses. Sonoma County has marked two consecutive years of reduced greenhouse gas emissions, with output reported below 1990 levels in both 2015 and 2016, due in large part to the rollout of Sonoma Clean Power and its greater reliance on cleaner sources of electricity. The public power agency reported that renewable sources like solar, geothermal, wind and biomass account for 42 percent of the power in its basic consumer program, CleanStart, compared with 33 percent for PG&E, the dominant local supplier until three years ago. The agency also offers a service called EverGreen, which offers 100 percent renewable energy generated locally at The Geysers geothermal plant, though at a slightly higher cost than CleanStart. Fewer than 1 percent of its customers are enrolled in that program, agency spokeswoman Kate Kelley said. In June, National Renewable Energy Laboratory (NREL) researcher Koenraad Beckers - a past GRC Scholarship Awardee - will bike from Boise, Idaho, to Yellowstone National Park. The ride is typical for this avid biker. The reason, though, is unusual. Passionate about geothermal energy research, he wants to observe the hot water in both places. "It's a little geothermal team bike ride, if you will," said Koenraad. He'll be joined by his former Cornell University Ph.D. adviser, another biking enthusiast who encouraged him to ride in Upstate New York, as well as some other friends. "We’ll visit Boise's geothermal wells and the plants where they run their geothermal system, and also do some sightseeing. Then we'll go to Yellowstone, which is a beautiful place, but also has a lot of geothermal activity." After 18 months of researches and exploration with partners, Ethiopian Geological Survey has identified 23 geothermal energy potential areas in the Ethiopian Rift Valley Zone, it has been disclosed. Tamiru Mersha, Communication Affairs Director at the Ethiopian Geological Survey, told The Ethiopian Herald that a potential of over 10,000 MW geothermal energy was discovered in that area. According to Tamiru, the development of the energy has started. In collaboration with the Ministry of Water Irrigation and Energy, the development is already being undertaken at the Aluto Langano site, which is expected to have a capacity of generating 80 MW of geothermal energy. He said two holes have been drilled to 1952 and 1921 meters depth. Project implementation is expected to be completed by the end of 2021. A loan agreement was signed today in Djibouti between the Republic of Djibouti and Kuwait Fund for Arab Economic Development, whereby the Fund will provide a Loan of Kuwaiti Dinars K.D. 8 million equivalent to about US$ 27.2 million, to the Republic of Djibouti to assist in the financing Power Station Project of Geothermal power generation capacity of 15 MW. The project includes the drilling of about 10 wells for the production of steam and reclaimed water re-injection and the construction of a 15 MW power station at Jalla Koma (Phase I), 120 km west of the capital, Djibouti, in the area of Lake Assal. The new generation station will be connected to the central network by a 230 kV transmission line and a length of about 2 km. It also includes consulting services. The power generation in our power plants increased by 1.7% to 5.5 million MWh year-over-year. We remain on track with our nearterm growth objectives and our new projects under development and construction which are expected to add between 190 and 200 MW by the end of 2020. Besides the in new projects, we are continuing our exploration and business development activities to support future growth. We have a substantial land position across 32 prospects in the US, Guatemala, New Zealand, Honduras, Indonesia, Guadeloupe and Ethiopia. Ormat Technologies, Inc. has announced that it has entered into a loan agreement with affiliates of the Migdal Group, one of Israel's leading insurance companies and institutional investors, to provide the company with a $100 million senior unsecured loan. 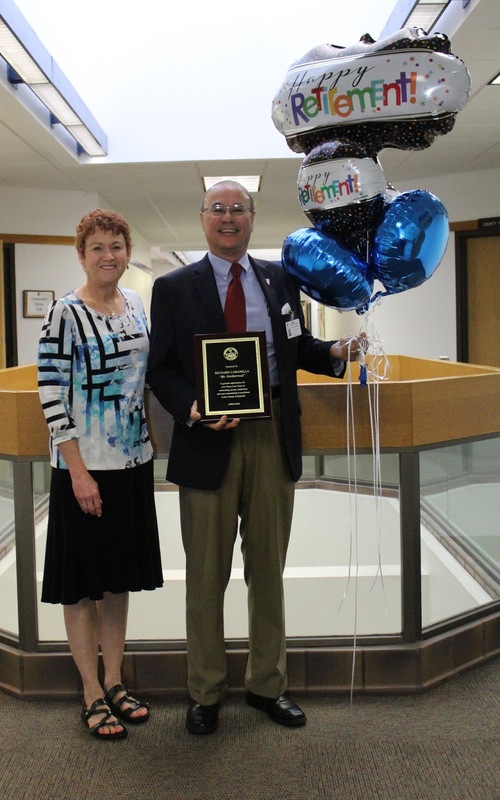 The loan will be repaid in 15 semi-annual payments of $4.2 million each, commencing on September 15, 2021, and a final payment on March 15, 2029 of $37 million. The average duration of the Loan is 7 years. The Loan bears interest at a fixed rate of 4.8% per annum, payable semi-annually, subject to adjustments in certain cases. Ormat intends to use the proceeds of the loan to fund its capital needs to support its growth plans. “Ormat’s financial strength and leadership position is giving us increased access to capital at attractive terms, enabling us to execute our long-term growth strategy,” commented Doron Blachar, Ormat’s Chief Financial Officer. Ormat Technologies, Inc. will be exhibiting at the GRC Annual Meeting & Expo, 11-14 October, Reno, Nevada, USA. The Asian Development Bank (ADB) has signed an agreement to provide a $175.3m loan to PT Supreme Energy Rantau Dadap (SERD) to support the second phase development of the company’s geothermal power project in South Sumatra, Indonesia. The Rantau Dedap project is being developed by SERD, a joint venture between Indonesian geothermal power developer PT Supreme Energy, Japanese firms Marubeni and Tohoku Electric Power, as well as French utility Engie. With the loan, the Rantau Dedap geothermal facilities are expected to generate more than 90 MW of electricity. The Imperial County Planning & Development Services Department honored Planning Division Manager Richard Cabanilla for 34 Years of Service to the County of Imperial at a recent meeting. Mr. Richard Cabanilla began his employment with Imperial County in January 1984, as the County's first Geothermal Planner tasked with updating the 1977 Geothermal Element of the General Plan. Given Mr. Cabanilla's passion and understanding of geothermal processes, all subsequent Geothermal Element updates, including the latest Renewable Energy and Transmission Element updates, were processed by him. Not only did Mr. Cabanilla write the majority of the regulations for geothermal development in the County, he processed or mentored his fellow Planners in processing numerous geothermal projects submitted during his tenure. These geothermal projects include North Brawley, East Brawley, South Brawley, Heber, East Mesa, ORNI 19, ORNI 21, Energy Source, Control Thermal Resource/Hell Kitchen, only to name a few. PT Supreme Energy Rantau Dadap has finally secured a loan worth US$540 million from Japan Bank for International Cooperation (JBIC), Asian Development Bank (ADB) and a group of major commercial banks from Japan to fund the first phase of Rantau Dedap geothermal power plant. ENGIE, which is part of the shareholder of Rantau Dadap geothermal project, said the loan agreement has been signed on Friday (23/3), paving the way for the joint venture company to develop the Rantau Dedap geothermal project, located on Sumatera Island. The first phase of the power plant, with an installed capacity of 98.4 MW is scheduled to start operation by in 2020, or three years since the financial closing is reached. Learn more about the steam gathering system at the Geothermal Development Company (GDC) Menengai Geothermal Project in Nakuru County, Kenya. Ein wenig liegen sie hinter dem Zeitplan, dennoch sind die Verantwortlichen des Garchinger Geothermie-Vorhabens zufrieden mit dem Fortschritt im Brucker Holz (Lkr. Altötting). Ende April sollen die Bohrarbeiten starten. Dann wird sich zeigen, ob die Planer der Silenos Energy GmbH die Verhältnisse in 3600 Meter Tiefe richtig eingeschätzt haben. (From Google translation) They are a bit behind schedule, but those responsible for the Garching geothermal project are satisfied with the progress made in Brucker Holz (Lkr. Altötting). The drilling work is scheduled to start at the end of April. Then it will become clear whether the planners of Silenos Energy GmbH have correctly estimated the conditions at 3600 meters depth. The Philippine Embassy in Japan, supported by the ASEAN-Japan Centre, hosted the Seminar and Networking Reception with the Geothermal Industry on 13 March 2018. Deputy Chief of Mission Eduardo M.R. Meez welcomed more than sixty participants from over thirty Japanese organizations and companies. Ambassador Jose C. Laurel V, in his keynote address, offered the Philippines support for Japans efforts in encouraging the use of renewable energy resources, including geothermal energy, following the Fukushima nuclear disaster in 2011. Representatives from the National Geothermal Association of the Philippines (NGAP), Energy Development Corporation (EDC), First Philippine Holdings, and ThermaPrime Drilling Corporation shared their experiences and expertise in utilizing geothermal energy in the Philippines. The Philippines is the second country in the world with biggest installed general capacity. Its technical expertise is comparable to that of New Zealand and Iceland, but is more cost-efficient. The networking reception after the seminar provided an opportunity to discuss collaborative and partnership opportunities between the Philippines and Japans geothermal industries. The geothermal power plant of GeoEnergie Taufkirchen GmbH & Co. KG, a subsidiary of the drilling technology and geothermal specialist Daldrup & Söhne AG, has started electricity production in Taufkirchen. The first feed-in was preceded by successfully completed system tests of the components of the power generation plant in recent days. This means that, for the first time and in parallel to the district heating supplied to the communities of Taufkirchen and Oberhaching, environmentally friendly electricity generated at the power plant will now be fed into the public grid. With the weather-related decline in district heating production, the power production of the plant is being ramped up further. A further heat exchanger will be connected in the second half of 2018. Thus, from today's perspective electricity production will then gradually switch to full load operation. For the further planning of the 2018 financial year, the management board assumes that corresponding feed-in revenues can be generated from power generation. Energy Development Corp. (EDC) has secured a $90-million loan financing deal with World Bank Group’s private sector arm International Finance Corp. (IFC) to partly fund its capital requirements for the return of services of its Leyte geothermal power plants hit by an earthquake in July 2017. “The proceeds of the loan will fund a portion of the 2018 capital requirements and other general corporate purposes of EDC’s existing geothermal operations,” the company said. EDC noted its capital requirements include the balance of work related to the return of service of the geothermal power plants in Leyte that were affected by the July 2017 earthquake. The core idea behind geothermal heating involves extracting the heat of the water deep inside the mine. 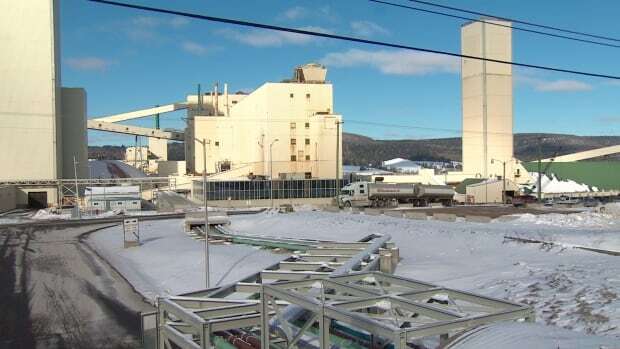 More than two years after Sussex was rocked by the closure of the Picadilly mine, the town is getting some good news about the mine — it can likely be used for geothermal heating. The mine in Penobsquis, near Sussex, was allowed to flood after operations ended there in 2016, and 430 jobs were lost. Geothermal heating involves extracting the heat of the water from inside the mine. A company could then use that energy cheaply, making Sussex more attractive for new industry. Scott Hatcher, chief administrative officer for the town said it appears from the feasibility study that the model that would most benefit the town is something called an "open loop" geothermal system, which would involve directly extracting the hot water, drawn through a pipe. "Once used, it would be injected back into the mine," Hatcher said. Geothermal Resources Council Annual Meeting will be held Oct. 14-17 in Reno, Nevada, USA. The deadline for abstract submission is Friday, March 30th, 2018. The Geothermal Exchange Organization, is a 501(c)(6) non-profit trade association based in Springfield, Illinois, USA that advocates the environmental, energy efficiency and economic benefits of geothermal heat pump systems for heating and cooling applications in residential, commercial, and institutional buildings in the USA. KS Orka reports the company has signed a Joint Venture agreement with PT Optima Nusantara Energyi on the development of the Simbolan-Samosir geothermal power project in North Sumatra Indonesia. The project area indicates a 110 MW resource. This is KS Orka´s third power project in Indonesia. The Bureau of Land Management, Carson City District, has completed an Environmental Assessment (EA) for the Fallon Frontier Observatory for Research in Geothermal Energy (FORGE) Geothermal Research and Monitoring field laboratory located approximately seven miles southeast of Fallon, Nevada, in Churchill County. The BLM is seeking public comments and input on this EA and public input under Section 106 of the National Historic Preservation Act for the project. This includes seeking information and identifying historic properties in or near the project area. Public comments will be accepted through April 4, 2018. 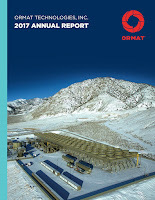 This EA analyzes the proposal by the Department of Energy’s Sandia National Laboratory in conjunction with Ormat Technologies, the Navy Geothermal Program Office, the US Geological Survey, Lawrence Berkeley National Laboratory, the University of Nevada, Reno, and other partners to establish and manage Fallon FORGE as a dedicated site where the subsurface scientific community would be able to develop, test, and improve new technologies and techniques for application to the development of Enhanced Geothermal Systems (EGS). Proposed actions include drilling up to three new production/injection wells and up to nine monitoring wells and stimulation of the production/injection well(s) to develop technologies and techniques that would effectively function at other EGS projects. A copy of the EA is available in the Carson City District BLM Office and on the project webpage at https://goo.gl/Y5gaVv Please send written comments to: Dave Schroeder, Fallon FORGE EA Project Lead, Stillwater Field Office, 5665 Morgan Mill Road, Carson City, NV 89701. Comments may also be submitted electronically via the EA webpage (under the “Contact Information” section), via email to blm_nv_ccdowebmail@blm.gov or fax at 775-885-6147 with the subject heading “Fallon FORGE EA Project”. The Yellowstone hotspot, located in North America, is an intraplate source of magmatism the cause of which is hotly debated. Some argue that a deep mantle plume sourced at the base of the mantle supplies the heat beneath Yellowstone, whereas others claim shallower subduction or lithospheric-related processes can explain the anomalous magmatism. Here we present a shear wave tomography model for the deep mantle beneath the western United States that was made using the travel times of core waves recorded by the dense USArray seismic network. The model reveals a single narrow, cylindrically shaped slow anomaly, approximately 350 km in diameter that we interpret as a whole-mantle plume. The anomaly is tilted to the north-east and extends from the core–mantle boundary to the surficial position of the Yellowstone hotspot. The structure gradually decreases in strength from the deepest mantle towards the surface and if it is purely a thermal anomaly this implies an initial excess temperature of 650 to 850 °C. Our results strongly support a deep origin for the Yellowstone hotspot, and also provide evidence for the existence of thin thermal mantle plumes that are currently beyond the resolution of global tomography models. Congress on Wednesday night released a fiscal 2018 spending bill that rejects Trump administration efforts to reduce funding for the Environmental Protection Agency and Energy Department. After President Trump threatened to make massive cuts to the EPA budget, Congress decided to keep funding levels the same from fiscal 2017, at $8.1 billion. The Energy Department, meanwhile, would receive $34.5 billion in the massive spending deal, a $3.77 billion increase over fiscal 2017. That includes $2.32 billion for the agency’s energy efficiency and renewable energy division, a 15 percent increase. Trump, who has promoted expanded fossil fuel development, had sought to cut funding for that division. Asia Development Bank (ADB) said on Thursday it would provide a $250 million loan to Sinopec Green Energy Geothermal Co (SGE) and Iceland’s Arctic Green Energy Corp (AGE) to develop clean geothermal heat in smog-prone northern China. SGE is a joint venture set up by China’s state-owned oil giant Sinopec and AGE. The project will focus on the Beijing-Tianjin-Hebei region, but SGE chairman Liu Shiliang said the partners plan to “replicate their successful collaboration across Asia.” China had planned to develop geothermal energy in the Beijing-Tianjin-Hebei belt as part of its anti-smog campaign, the country said in guidelines published in January. Two geophysicists noted for their work to harness the underground heat from volcanoes to produce electricity began joint appointments at each other’s institutions in January. 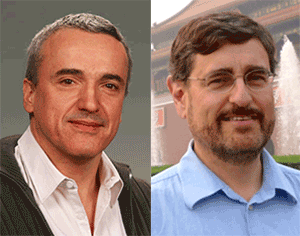 The dual appointments enable GRC Member Alain Bonneville, Pacific Northwest National Laboratory (PNNL), and Adam Schultz, Oregon State University, to increase their collaboration on current and proposed projects, including traveling to each other’s institutions to share their insights and mentor students and interns. A particular focus for the two colleagues is finding the most effective ways to extract underground heat from the Newberry Volcano in central Oregon. Newberry is one of the largest geothermal heat reservoirs in the western United States. A public-private consortium, Newberry Geothermal Energy (NEWGEN), is developing a research observatory on geothermal energy at the volcano, drilling high-temperature wells. The project aims to test more efficient, less costly, and innovative ways to extract underground heat where conventional geothermal power generation isn’t possible. 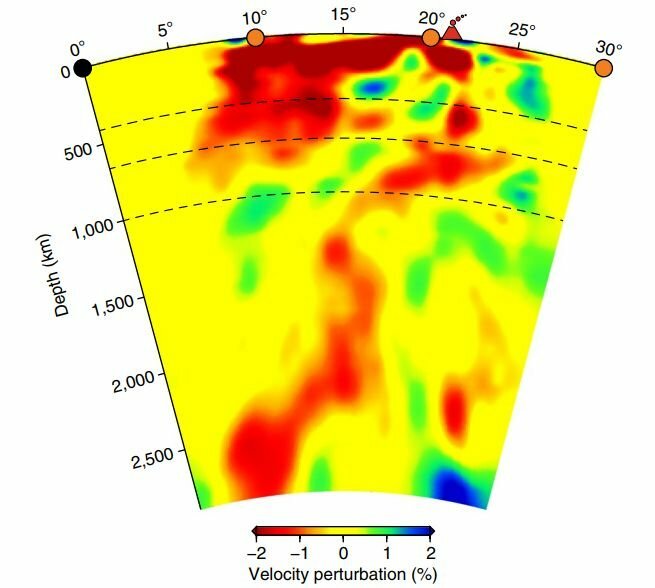 Bonneville, Schultz, and their colleagues have been developing innovative methods that use electromagnetic instrumentation, sensitive gravity meters, measurements of ground deformation, and new computer-aided modeling methods to look under the volcano’s surface. Alexander Solberg, HSE & QA manager at Rock Energy AS, reports on progress at a geothermal district heating project in Norway. Rock Energy in partnership with Båsum Boring has this week reached 1,520 meters - the deepest geothermal well in Norway. The work was carried out using compressed air and hammer drilling technology. Alexander reported up to 20 meters an hour instant ROP in hard basement rock formation (6.5” hole). Employment opportunity with a global geothermal energy industry pioneer and the largest vertical integrated geothermal developer. They are also a recognized world leader in wet steam field technology. Leads and provides direction to the Operations and Maintenance Division in developing and implementing the medium to long-term Operation and Asset life-cycle management strategies and programs. Responsible for overseeing the operation and maintenance of the geothermal facility, ensuring the geothermal facilities' continuous and efficient operation. Represent the Division in high level policy meetings, conferences, and external negotiations. Responsible for providing overall management of Geothermal Facility in terms of strategies, budget, statutory requirements & licenses, contracts and sales agreement, litigations, finance management and optimization of resources. 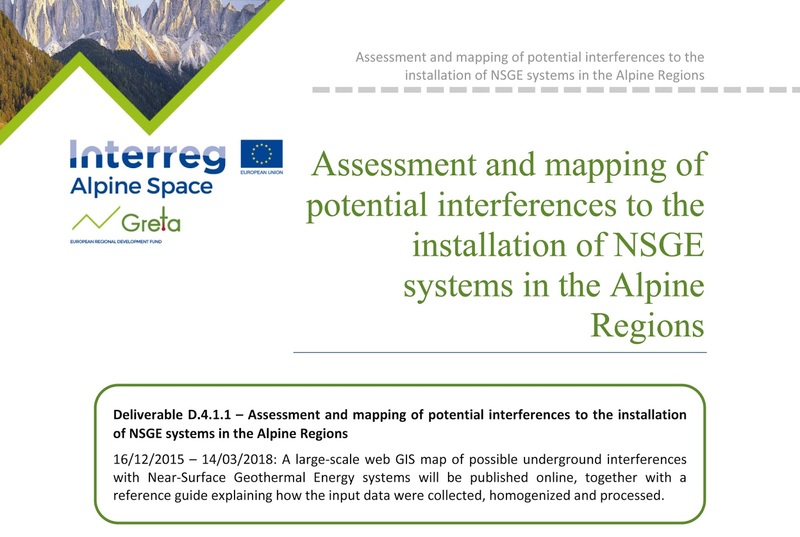 The GRETA project, established by 12 partners from 6 different countries, aims to demonstrate the potential of Near-Surface Geothermal Energy (NSGE) in the Alpine Space and to share its knowledge to foster the integration of this technology into future energy plans in the area at different administrative levels. 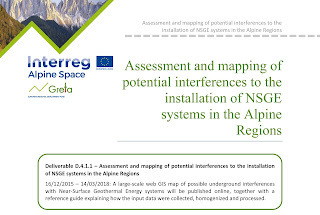 The project has a new deliverable: Assessment and mapping of potential interferences to the installation of shallow geothermal energy systems in the Alpine Regions. This exhaustive document is about large-scale mapping of geological features and factors which may interfere with the installation of water wells for ground water heat pumps and/or borehole heat exchangers. Hungarian geothermal energy company PannErgy has increased its stake in Szentlőrinc Geothermal Ltd. to 100%, the company announced late on Tuesday. PannErgy Plc has entered into an agreement with the Municipality of Szentlőrinc in relation to the acquisition of its 0.20% stake in Szentlőrinc Geothermal Ltd. The purchase price is one million forints that the buyer will pay within two banking days. After the transaction, PannErgy Geothermal Power Plants Ltd will become the 100% owner of Szentlőrinc Geothermal Ltd. According to the Pannergy website, since January 2011, as a result of the project – i.e. the creation of a geothermal heating system of a production and a reinjection well for 3 MW useful heat capacity – about 900 apartments in Szentlőrinc have been heated with geothermal energy, which is cheaper than gas, and does not contaminate the environment at all. The overdue expansion of the Aluto-Langano Geothermal Plant is going to get a fresh start following the recently announced tender by the Ethiopian Electric Power (EEP) to hire a contractor for the project and procure rigs to drill the wells. Located on the Aluto volcanic complex of the Ethiopian Rift valley, close to the eastern mountain between Lake Langano and Ziway, some 200 Km southeast of Addis Ababa, the plant is expected to generate 75 MW of energy from eight wells. Like many towns across Alberta, the landscape around Hinton is a pincushion of oil wells. At the bottom of some of the deeper wells, temperatures can reach upwards of 120 degrees Celsius, and that geothermal heat could be about to spur the town on to its next energy windfall. A plan is underway to pump water up from deep underground, capture the heat it brings to the surface, then re-inject that water into the ground. The captured heat could warm a dozen municipal buildings or even eventually provide electricity. “That’s attainable, that’s not a huge technical challenge. The question is at what cost,” Jonathan Banks, a research associate in geoscience at the University of Alberta, told DeSmog Canada. The town recently got $1.2 million in federal and provincial grants to explore the feasibility of the project, known as a Front-End Engineering and Design, or FEED, study. That should be complete by the end of the summer. “If the FEED study shows that the project is viable…we could start building the system in the fall of 2018,” Banks says, cautioning that there are a number of unknowns, such as an uncertain regulatory process. A big part of why newly elected town councillor Dewly Nelson thinks the oil-friendly residents should welcome geothermal to town? It all runs on the same infrastructure and knowledge as the oil and gas industry, making it an excellent way to make use of existing oilfields and some of the workers who have been hit by low oil prices. “If it ever really takes off on a large scale in Canada, it will be because of oil and gas,” he says. The second subhorizontal geothermal well has been completed on the Paris suburban Cachan site for its customer Dalkia (EDF Group). The well, which will serve as the injection unit of the local Geothermal District Heating doublet, is similar in design to the production well achieved in late December 2017, recorded as a world premiere in geothermal well engineering. It features an open-hole drain, 8"1/2 in diameter and 1,005 m long (against 1,001 m for the first well). Targeted at a nominal 450 m3/h productive/injective performance, the new doublet managed by a Dalkia/City of Cachan JV (Dalkia operator), will replace two existing, 34 years old, doublets, both cumulating 350 m3/h capacity. 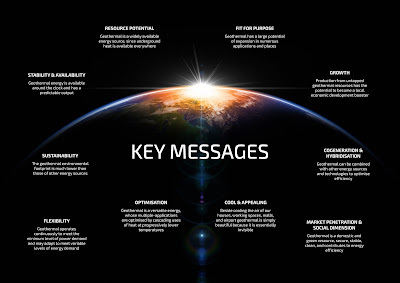 The concept, pioneered by GPC Instrumentation Process (GPC IP), opens attractive perspectives for geothermal development in densely populated areas undergoing moderate to poor (by geothermal standards) reservoir performance.